Thanks for dropping by the BC Boat & Sportsman Show. We Just wanted to thank the many people who dropped by the booth and said hello. As many of you know, the past owner of STS, Vic Carrao is battling cancer like many other Canadians, he was overwhelmed by the love and support received at the Show. Vic has started treatment and is doing well and will be guiding for the 2017/2018 season. Thank you for dropping by and making Vic’s weekend a very special one. 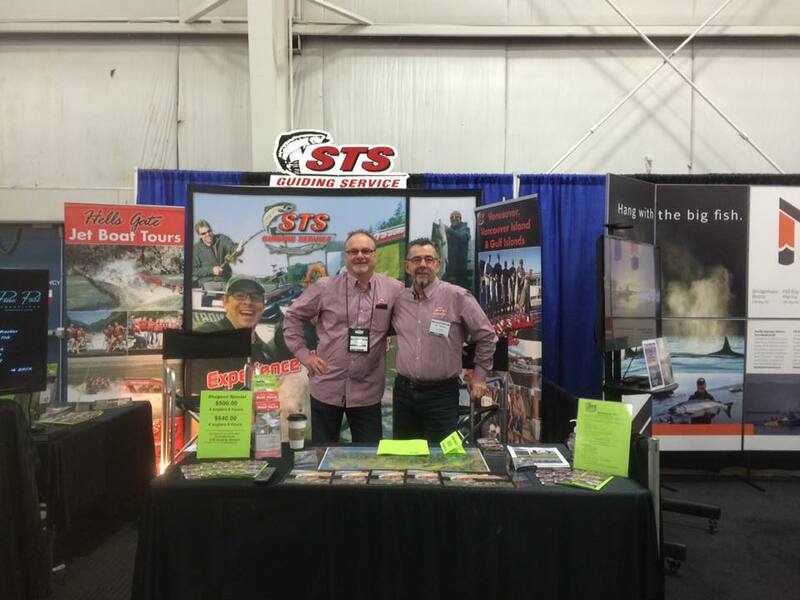 Vic and the STS team will be traveling to Edmonton next week and will be at the Edmonton Boat & Sportsman Show, if you live in Alberta and you plan on attending the show, please drop by and say hello. You are currently reading Thanks for dropping by the BC Boat & Sportsman Show. at Hells Gate Jet Boat Tours Blog.